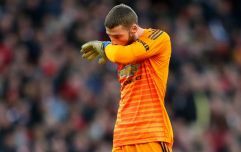 Atlético Madrid suffered their first home defeat of the season on Saturday afternoon to their biggest enemy, Real Madrid. The City derby ebbed and flowed, and when Greizmann drew level after Casemiro's opener, it looked as though the home side were in with a chance of taking a point, if not all three. But Madrid, who appear to have put their early season struggles well and truly behind them, came back out the blocks and scored another two goals to ensure victory. The first came from a Sergio Ramos penalty, after which he rubbed salt in Griezmann's wounds my mocking his Fortnite celebration. But the controversy that led to the penalty being given was the bigger talking point, as many argued the foul took place outside the box. Still images do appear to show José María Giménez taking down Vinicius Jr. just before he runs into the 18 yard box, but watching the clip in full speed makes it a lot less clear cut. The decision, as many others did in this derby, went to the Video Assistant Referee, who judged the foul to have taken place inside the penalty area. Atlético weren't going to let this go, though. The club's official Twitter account fired shots at the match officials last night, tweeting three pictures, and a thinking emoji. 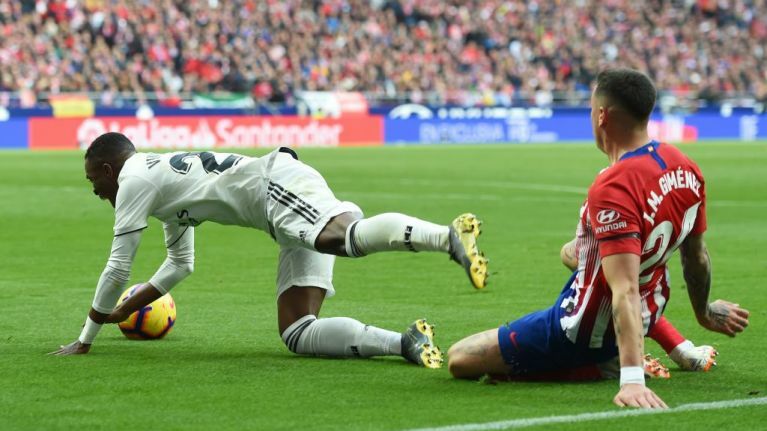 The first shows the foul that led to the penalty, the second, a controversial offside ruling that prevent Álvaro Morata from giving the home side the lead after a tidy lob, and the third, a challenge on Morata in the area which did not lead to a penalty. They're not necessarily calling conspiracy, but simply highlighting the refereeing inconsistencies throughout the match. It's not a great look for a club's official account, but you can understand their anger. Atlético boss Diego Simeone refused to blame VAR for their defeat, which sees Madrid overtake Atléti in the league table. "Atletico Madrid lost because of a convincing opponent," Simeone told Marca. "I don't usually speak about VAR and I believe it's something that will surely get better and make things more efficient for all.